Welcome to Journal Biospectracal . Journal of Biospectracal (J Biospectra) is peer reviewed, monthly multidisciplinary journal. Journal of Biospectracal publishes original article / short communication / review paper in aspect of science. Journal also offers important conference and symposia proceeding. The Biospectracal accord high important to the quality of articles published and keep to a minimum the processing time of paper submitted for publication. Free Full Text availability of articles. Search Articles by Author Name, Titles, Issues and volumes. Journal also offers important conference / symposia proceeding . Acceptance of manuscript in 15 – 20 days. Publication within short period, after acceptance. 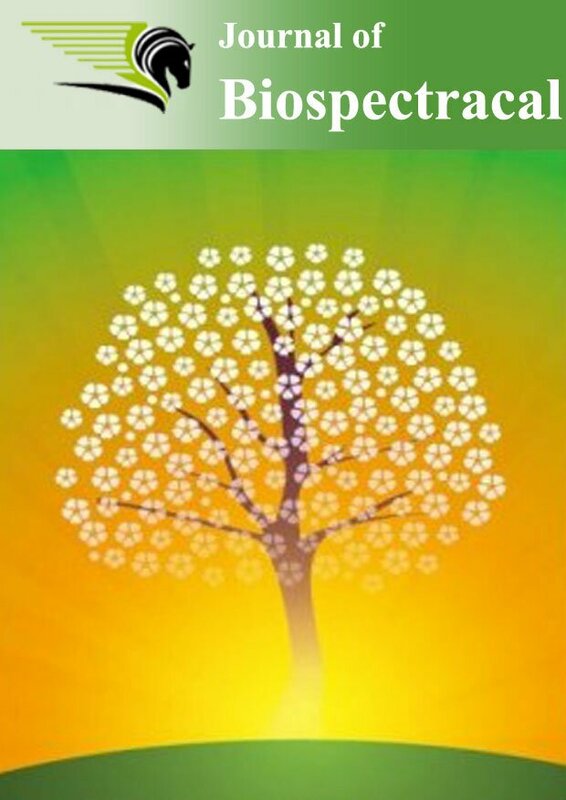 Journal of Biospectracal publishes original research work that contributes significantly to further the scientific knowledge in Life sciences (biotechnology, oceanography, crop science, horticulture, plant protection, agricultural resources and utilization, animal science, veterinary medicine, aquatic science, aquaculture, Agriculture, Agriculture Microbiology, natural product, microbiology, Biotechnology, Biochemistry, food science and engineering, forestry, crop genetics & breeding, germplasm resources, molecular genetics, tillage & cultivation, physiology & biochemistry, ecology & environment, soil & fertilization, irrigation, plant protection, horticulture, storage, fresh-keeping, processing, chemistry, Biological chemistry, Physics, Zoology and all Science areas.). Research outcomes from medical sciences/case study and biotechnology of pharmaceutical interest are also considered. Journal of Biospectracal publishes original research work either as an Original Article or as a Short Communication. Review articles on current topic under mentioned scopes are also considered for publication. To provide quality of research work. To joins hands with various organizers of the conference to provide a common platform for Researchers, educational managers and Industrialists. To keep a record of the state-of-the-art research and to promote study, patents, design for business, accreditation and approval within its various specialties. All changes in published articles may be made only 10 days after online release. Personal Invitation for a Book Chapter "Nanophytotoxicity"